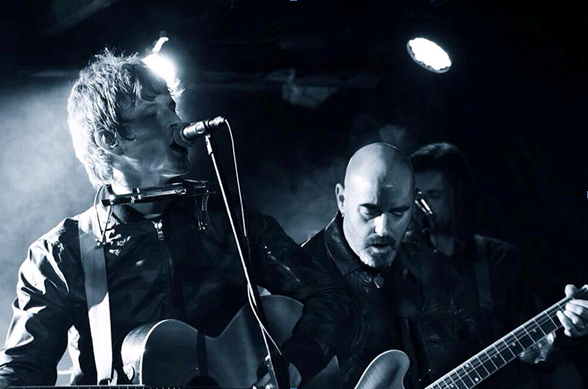 Introducing Phoneys & The Freaks, a brand new collaboration between Paul ‘Bonehead’ Arthurs and singer/songwriter Alex Lipinski. Having been blown away by Alex’s support slots for his previous band last year, the former Oasis guitarist and Lipinski soon developed a working relationship and began writing and recording together; Phoneys & The Freaks was born. The resulting sessions produced elements of The Verve, traces of The Brian Jonestown Massacre, and shades of others who can pen instantly memorable stadium sized anthems. Sell out gigs in London and Manchester have showcased what Phoneys & The Freaks can produce when they bring their songs to life on stage. With a summer of festivals planned and a debut EP out now on Cherry Red Records, 2014 is already proving to be a busy year indeed for the two musicians.